Our students win national and international competitions and work on many live and external briefs. Three BA (Hons) Illustration students assisted lecturer Ashley Potter on production design for the official Olympic Mascot's film 'Rainbow to the Games'. 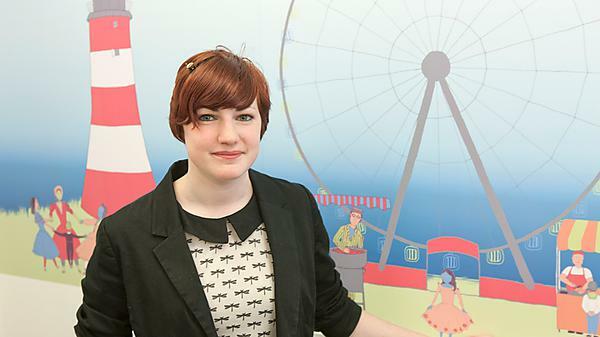 Ashley worked on two of the four animated films created for the official London 2012 mascots Wenlock and Mandeville. His role as production designer enabled him to negotiate paid work experience for three students; Edward 'Woody' Stables, Alex Boys and Jordan Rogers, who worked as production assistants. The students dealt with real professional production deadlines and gained valuable experience whilst making contacts for their future careers in the design, film and animation industries. ‘Draw me a story’ was the first collaboration between the Plymouth City Museum and the BA Illustration course. Several Stage 3 (and one Stage 1) students had a rare opportunity to illustrate on the walls of the Museum's Gallery walls and help to run public workshops.